A Diamond Select Toys Release! Harley Quinn is turning 25, but you get the present! 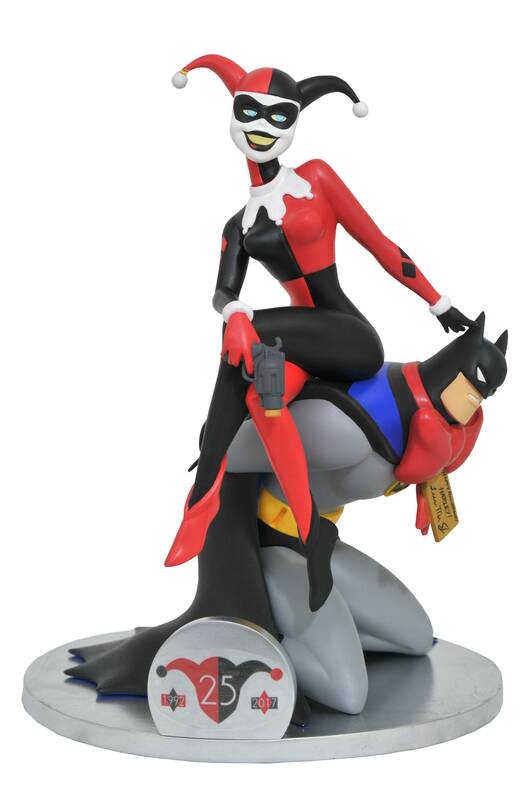 The first-ever Deluxe DC Gallery PVC Diorama celebrates Harley's 1992 debut on Batman: The Animated Series with a new diorama of the Joker's gal pal sitting on top of a gift-wrapped Batman -- an anniversary present to Harley from her Puddin'! Measuring almost 10 inches tall, this diorama features detailed sculpting and paint applications and comes packaged in a full-color window box. Sculpted by Varner Studios!.